How do you measure or quantify your running workouts? Is it by the time that had elapsed covering the period you started your run up to the time you stop or by the distance or the number of kilometers or miles that you have covered? When I started to train for my first 10K road race, I followed the first training program that I could read and it recommended running and walking by the number of minutes and later by the hours. As I progressed to train for the full marathon distance, I became aware to count the number of kilometers every running workout that I finish for the day. When I started to train and run in ultra distances, I became aware of both the time that my feet were on the ground and the distance I would be able to cover within such period of time. I would later determine the average of mileage or number of kilometers that I would be able to cover within an hour or two. It appears that I could cover an average distance of 7-8 kilometers per hour in my easy long runs; cover 10 kilometers for 65 minutes in my tempo runs; and I could finish the same distance of 10K in flat 60 minutes in my progression runs. These workouts are all done on paved roads with an easy elevation profile. However, when I run on the trails, it is an entirely different story and the outcome seems that I am slower. 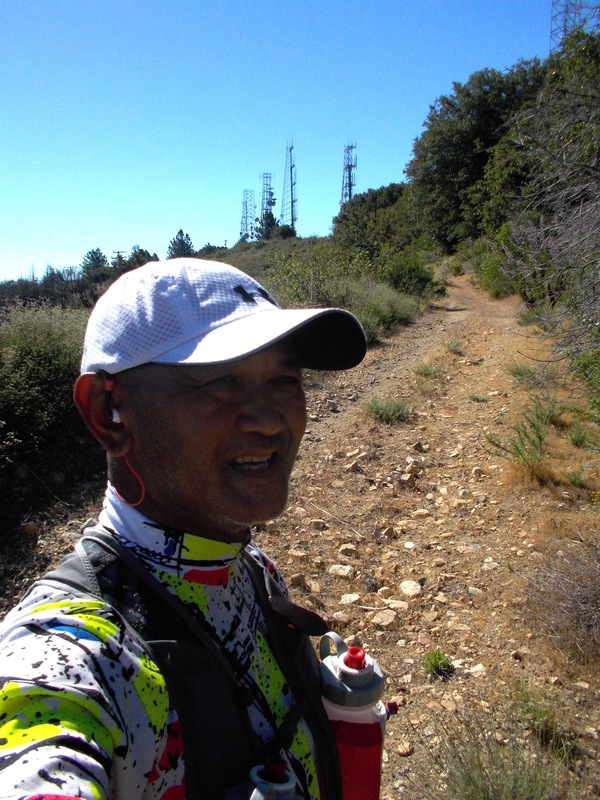 On the trails in my playground in Los Angeles, California, I could cover an average distance of 7 kilometers in one hour because the ground is clean and my foot placement is even on the ground due to the absence of rocks or stones. 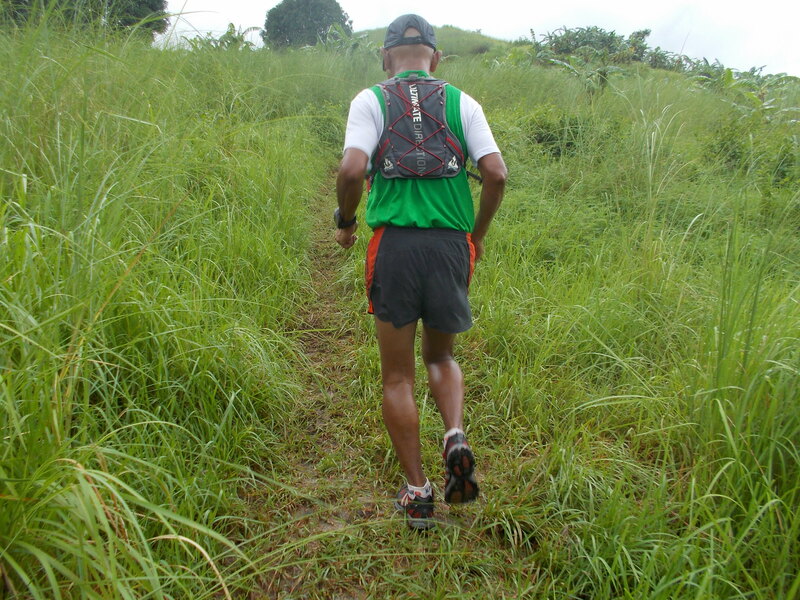 As compared with my running in my playground in the Philippines, I could cover an average distance of 6 kilometers in 70 minutes/1:10 hours due to river crossing, varying elevation profile, and technical single-track trail (uneven foot placement on the ground and muddy/wet grounds with grasses). On a regular basis, I’ve been running a trail route that covers a distance of 28 kilometers and I would be happy if I could finish the distance in 6 hours. With this new training, I have been concentrating on my running workouts by counting the number of hours that I spent along the trails whether I am just hiking, crossing a river, resting for a taste of a fresh coconut juice or running those downhills along the route. If you are training to become an ultra runner, whether on the road or trail, I highly suggest that you count the number of hours that your feet are on the ground rather than counting the number of kilometers that you have covered. For sure, you will be able to determine if you could finish your targeted ultra race within the prescribed cut-off time. Good luck on your next ultra race and keep on running!